PARKGENE announced today that it offers downside and upside protection against cryptocurrency volatility for GENE token holders. “Having listened to our community’s concerns regarding the volatility of their cryptocurrency positions, we have decided to help alleviate the concerns of crypto appreciating or depreciating during the course of our ICO, offering guaranteed protections, both in the upside as well as the downside”, said Nikolas Skarlatos, CFO of PARKGENE. If the digital asset exchanged for tokens appreciates, the token holder will get extra tokens up to 20% of the upside. If you have purchased GENE tokens using cryptocurrency, we will lock the number of tokens against the crypto price at the time of the purchase. If the digital asset exchanged for the tokens appreciates, the token holder will be able to benefit from this as his tokens will be recalculated up to a certain percentage based on volume (see table above). These recalculations will only involve the tokens allocated from the sale transaction. The adjustment does not apply to bonus tokens. Recalculations are made daily (for reference) and the final calculations will take place on February 19, 2018 or at any point that our hard cap is reached and the ICO is sold-out. The PARKGENE ICO has successfully completed its closed round and is on its second week of the ICO. To-date, more than 48 million GENE tokens have been sold. We are happy to announce that we are well on our way of reaching our 60 million token milestone and the PARKGENE community is growing at a rapid pace. During this period, we have been in close touch with the community and very responsive in answering questions and addressing member concerns and recommendations. Responding to many of our community members, who are interested in PARKGENE, but are very new to the crypto world, apart from accepting FIAT payments via wire transfer, we decided to also accept payments via PayPal. Now anyone can buy GENE Tokens online and in real time, via PayPal connected bank accounts or credit/debit cards. The Greek answer to Bitcoin is Gene, created by the ParkGene company, and is trading on the online market with relative success. Singapore-based ParkGene is practically run from Athens, where its founding team is located. Since end-December it has been extremely busy, having started its own initial coin offering (ICO), which has done quite well considering it has already sold more than 42 million Genes. The coins sold are valued at $4.2 million (3.44 million euros) and its target is to reach $35 million by February 19. This capital will allow the company to promote Gene around the world, with the aim of selling 1 billion units. So what can you buy with Genes? To start with, “you will be able to rent parking spaces,” says ParkGene head Ilias Hatzis, the man behind the Greek cryptocurrency. “It’s like Airbnb for your car,” he explains, noting that the company’s aim is to penetrate the international parking market, valued at $100 billion per year. According to Hatzis, when a car leaves its parking spot, for instance when its driver goes to work, the space is re-leased and can be used by someone visiting the area. There could be an exchange between the two drivers, with ParkGene collecting a small commission – in Genes. We are excited to announce that after the PARKGENE PRE-ICO was sold-out early, the PARKGENE ICO is now under-way, amid growing demand for participation in the Early Bird – Day #1 which offers up to 35% bonus. It was announced today that the PARKGENE ICO Day #1 has been extended by 3 days, to January 19, to meet this demand. When we launched our Pre-ICO on December 15th, we hoped it would be a success. We couldn’t have predicted what has happened: 20,000,000 GENE tokens sold-out, ahead of time backed by high-net worth individuals, family offices, and investment funds. Today, 9 hours into the ICO Day #1 more than 20 million more tokens had been sold despite delays attributed to the payment processor. “We would like to thank everyone participating in the PARKGENE ICO. We are grateful for the trust you have shown PARKGENE. We’re happy to announce that our Day #1 promo code offering will be extended for 3 additional days until Friday January 19. We want to give everyone the chance to take advantage of our up to 35% Bonus offer, and to reward your patience, trust and support.”, said Ilias Hatzis, CEO of PARKGENE. 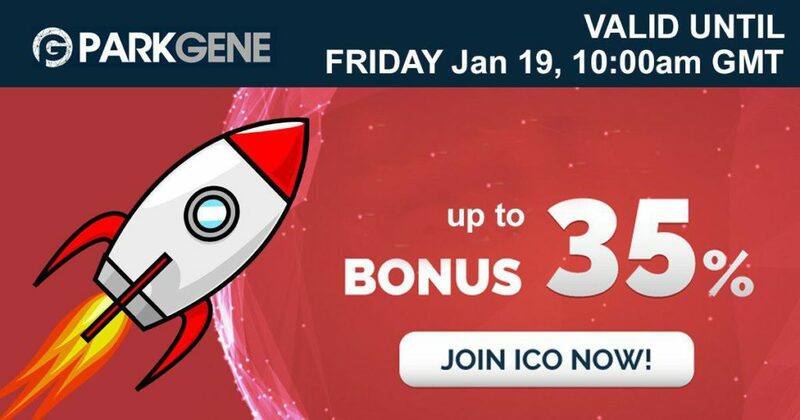 We urge interested participants to lock-in this bonus by joining our Telegram chat at https://t.me/parkgene to get the promo code and then our token sale platform at https://tokensale.genewalletnew.wpengine.com where step-by-step instructions are available. In the meantime, we are in the process of finalizing our partnerships with exchanges, while, at the same time, working to ensure that our application will launch when the ICO is completed, so you can use your GENE tokens to pay for parking from day one. PARKGENE is a cryptocurrency-based peer-to-peer parking application using blockchain and smart contracts to connect drivers with parking spot owners. PARKGENE is closing it’s Pre Sale ICO today. 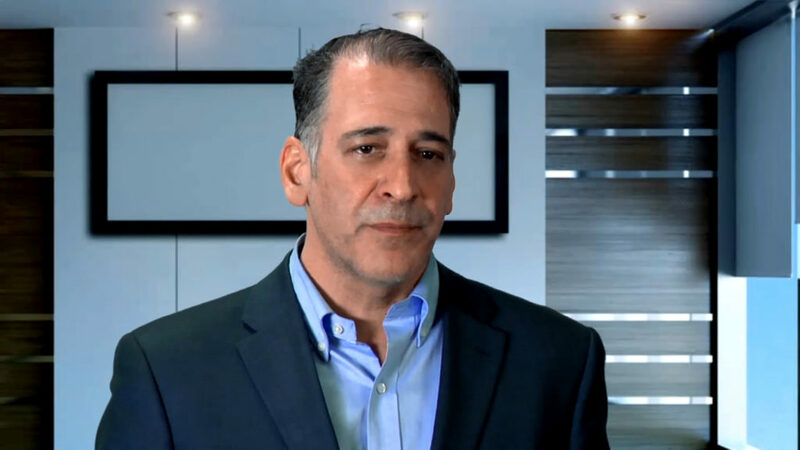 The CEO (Ilias Louis Hatzis) writes a weekly post on Daily Fintech (the Blockchain Bitcoin & Crypto Weekly CXO Briefing that comes out each Monday; see later today). I have a high regard for Ilias, so count me biased on this one. I am no expert in parking, but I have done enough to understand the pain point. I also know that I would be quite happy loaning out my parking space for cash. I can also see that this is a good use for a Utility Token – you basically prepay for your parking. Although I don’t know much more than the average Joe about parking, my years as an entrepreneur and advisor helps me to recognise a smart, driven entrepreneur when I meet one. Ilias Louis Hatzis scores that front. Daily Fintech is written by entrepreneurs for entrepreneurs – so please wish Ilias good fortune on his journey. We are excited to announce that the PARKGENE PRE-ICO was sold-out earlier than initially projected and the ICO is launching on Monday January 15, as planned. When we launched our Pre-ICO on December 15th, just before the holidays, we hoped it would be a success. We couldn’t have predicted what has happened: 20,000,000 GENE tokens sold-out, backed by high-net worth individuals, family offices, and investment funds. We had unfulfilled orders of over $25K each for 5.5Million tokens which were left out of the Pre-ICO round due to the first-come-first serve nature of the process. Additionally, we have had over 2000 applicants committing smaller amounts which we hope to serve during the open ICO. “We would like to thank everyone who participated. We are grateful for the trust you have shown PARKGENE, and we promise that we will deliver on making parking 2x faster and 10x cheaper”, said Ilias Hatzis, CEO of PARKGENE. The PARKGENE ICO is officially launching on Monday, January 15, 2018 at 10am GMT and we are gearing up to meet the growing demand for participation in the Early Bird – Day #1 which offers up to 35% bonus. My personal parking woes date all the way back to my years as a junior research scientist at the University of Chicago, when looking for a free curbside spot would require on average at least 15-20 minutes of my time. On top of that, I usually had to walk 2-3 blocks, often in the freezing cold of the windy city’s winters, to get from where I parked to my destination. My parking struggle motivated me to start my own company, ParkZen, utilizing smartphone sensor data to detect where parking spots are vacated in real time, and find out first-hand how the market is struggling for a solution and how people are ready and willing to utilize their own private space to earn money but also help alleviate the city’s parking problems and parking—search related traffic congestion. PARKGENE’s innovative approach hits right at the heart of this problem by creating a P2P marketplace where parking space owners can connect with drivers and rent out their space with contracts secured and executed on the Ethereum blockchain. As an academic research scientist myself working in the field of computational astrophysics I have great interest and I am financially invested in blockchain technology and the emergence of decentralized market places where trust-less, encrypted systems enable the transfer of value between individuals thus ultimately empowering the consumers and the innovators alike. Given ParkZen’s appeal to the Chicago market when we launched our marketing campaign in 2016, I can also attest to the excitement of the market to engage in P2P transactions and exchange of services, and to my desire to make ParkZen part of ParkGene’s ecosystem in the future to assist in the common cause of solving the global parking problem. PARKGENE also arrives at a time when there is significant transfer of trust in the market from centralized to decentralized applications as evidenced by the public investment in ICOs that skyrocketed by almost 1300% within a year (in the 01/01/2017 to 12/31/2017 period; source: www.coindesk.com). The combined shift of the consumer base toward blockchain-based applications, investments in digital assets and P2P services together with the tremendously underutilized private parking spaces across the United States, Europe and the rest of the world — especially in densely populated cities — clears the path for PARKGENE’s unique technology, backed by a strong, motivated, experienced and highly technical founding team, to become the one-stop parking solution of the future. 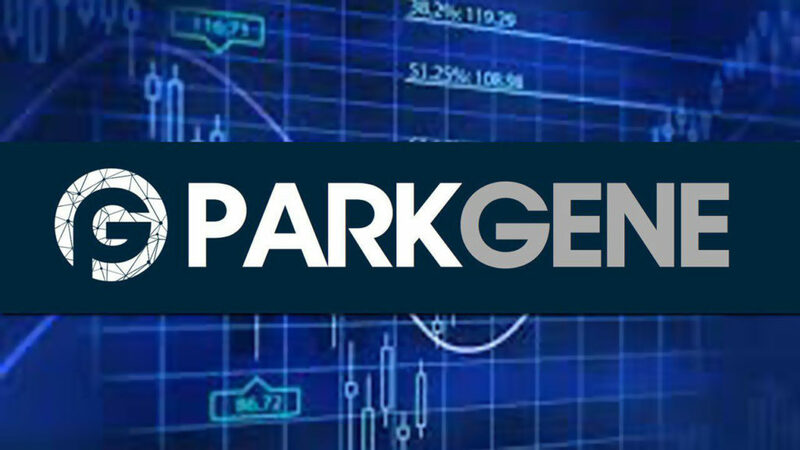 In tandem, from an economic perspective, the success and utilization of the GENE token, PARKGENE’s official cryptocurrency, will open the door to strategic partnerships and transportation-related marketplaces such as vehicle services (e.g. oil change, car wash and toll payments) driving the potential of the entire ecosystem to unprecedented highs. As a scientist and an entrepreneur myself I can attest that I am beyond excited to act as an Advisor for this incredible project, and I am eager to see the gradual transformation of modern metropoles as congestion, carbon emissions and accidents drop to historical lows due to a more efficient and definitely smarter parking solution. As such, I strongly recommend everyone to get on board with our ICO early on to avoid missing out on the unique opportunity to be one of the pioneers of blockchain-enabled P2P parking! Manos Chatzopoulos is a cofounder and the CEO of ParkZen LLC (parkzenapp.com), a smartphone app service that utilizes data analysis algorithms to locate faster free curbside parking. He is an Astrophysics Professor at Louisiana State University working on a variety of research projects in collaboration with local and external scientists. Singapore, Greece, UK – January 5, 2018 – PARKGENE PTE Ltd. (PARKGENE, https://genewalletnew.wpengine.com) a technology provider in Peer to Peer Parking services, today announced its partnership with NetRoadshow Inc. (NetRoadshow, https://netroadshow.com), the worldwide leader in providing electronic roadshows for the global investment banking community. PARKGENE will use the NetRoadshow platform to engage with the investment banking community about its innovative decentralized parking solution and its upcoming Initial Coin Offering. PARKGENE is the first ICO to use NetRoadShow’s communication platform. PARKGENE is developing a scalable – blockchain driven – automotive technology platform to allow drivers to book parking spots directly from individual parking spot owners. PARKGENE’s Peer-to-Peer parking solution is the first ever park-sharing solution that uses Blockchain and cryptocurrency token payments and is aiming to revolutionize the $100B Global Parking Industry. The establishment of a peer-to-peer parking community through blockchain technology and the use of GENE tokens as a flexible means of payment, creates an easy, accessible, transparent, cost-effective way for drivers to find a parking spaces and for parking space owners to make extra income. “We are excited to be the first ICO to partner with NetRoadshow to reach out to institutional investors and inform them about our project and our upcoming Initial Coin Offering (ICO). While ICOs have certainly changed the investment landscape, we feel that institutional investors should be included in the ecosystem and we are very excited about working with NetRoadshow to better communicate our opportunity to them.” said Ilias Hatzis, CEO of PARKGENE. With the ICO industry entering its fourth year we are starting to see a shift from traditional venture capital. According to Coindesk research, total investment in ICOs in 2017 has surpassed $3.8 billion. The venture capital model has worked brilliantly for a long time, but has been ripe for disruption and ICOs are the first step in that direction. “NetRoadShow is the global leader in providing US Securities & Exchange compliant electronic roadshow services for issuers in the global financial markets, including the majority of Fortune 2000 companies’ transactions. Our collaboration with PARKGENE marks our commitment to serving the ever-evolving needs of issuers and investors by entering the crypto currency industry and Initial Coin Offerings.” Said Brad Hammond, CEO of NetRoadshow, Inc.
PARKGENE PTE LTD is scalable blockchain-based platform that enables drivers to book parking directly from individual parking space owners at lower prices, with convenience. PARKGENE’s decentralized technology will supply new parking spots in already crowded cities, which now remain unutilized, by enabling not only peer-to-peer but also the seamless integration of all existing parking technology. PARKGENE is issuing the GENE token, that will be used as a means of payment for parking. Drivers use the GENE token to pay parking spot owners. NetRoadshow, Inc. provides the U.S. Securities & Exchange Commission (SEC) compliant online communication tools for the global investment banking community. It’s services include electronic roadshows, an Internet roadshow product that provides investment banks and their institutional investors the opportunity to access management presentations in a SEC-compliant electronic format. NetRoadShow’s offerings are specifically developed to meet the ongoing compliance standards for both public and private transactions including equity (IPO and secondary), convertible offerings, high yield and investment grade debt, emerging market debt, asset backed securities, municipal bonds, private placements, non-deal roadshows, and research related to public and private transactions. We believe that the sharing economy can help cities become friendlier, cleaner and happier for everyone.